It wasn’t long ago that it seemed a far-fetched future dream to imagine buying an HD video drone for only a hundred bucks – but today it’s a reality with the Micro Drone 2.0+ with HD-Camera. This latest development, the Inverted Flight Edition Drone, is now 42 percent off, just $99.99 for a limited time from TNW Deals. 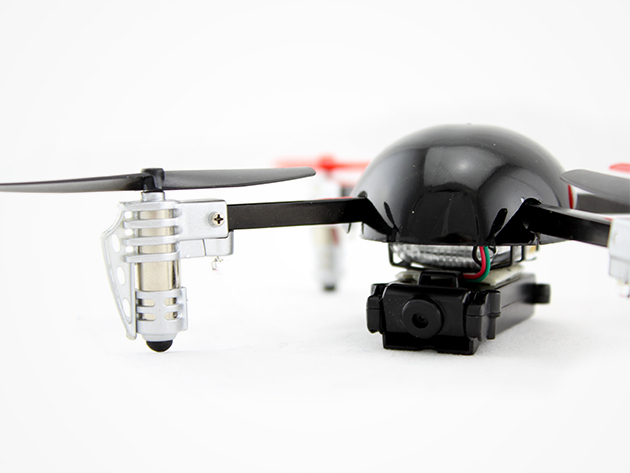 The world’s only upside-down flying micro HD-camera drone, the Micro Drone 2.0+ takes aerial photography to a new level with innovative technological capabilities. Even beginners will soon perform 360-degree flips with the drone’s pre-programmed algorithm, which also self-rights and stabilizes to its horizontal flying position. Capture 720p HD videography both indoor and outside, and recharge easily via USB. With a range up to 400 feet, there’s virtually no limit to your aerial capabilities, providing a whole new perspective for budding videographers and a world of fun for would-be stunt pilots. Get yours now for 42 percent off from TNW Deals.